We specialize in Financial Planning for OU Staff & Faculty. Windfall Elimination Provison and Government Pension Offset. We generally only take compensation from our clients, not the mutual fund , investment, or insurance companies. This means that we have less conflict of interests than many other financial firms/advisors and a greater financial loyalty to looking out for our clients’ best interests. In addition, we are a fiduciary to our clients at all times, which means that we have a legal responsibility to look out for our clients’ best interests before our own. Pass savings on to customers more quickly. Quickly adapt to industry and market changes for our clients. Implement technological solutions more quickly and efficiently. More easily provide our clients with transparency. Want us to manage your retirement at OU? or Click here to schedule a complimentary consultation. 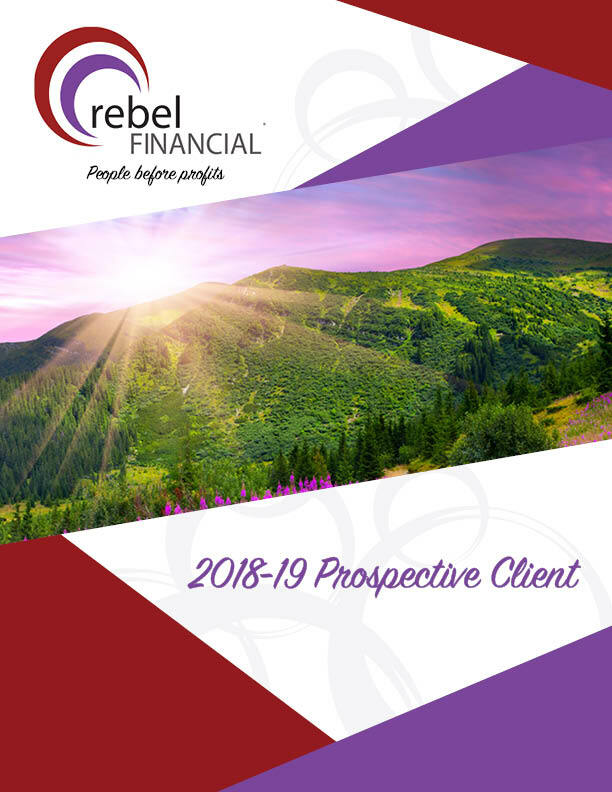 rebel Financial Personal Website (rFPW). We stand for what we believe are the ethical obligations of our profession for our clients and the average citizen in general. We deplore the greedy nature that much of the financial industry has devolved into and the self-serving politicians and government organizations that serve them. Socially Responsible Investing (SRI)/Environmental, Sustainable, Governance (ESG) Portfolios. This allows us to hold companies accountable to shareholders and society in general. Today, very few investors have the time or inclination to vote their shares and thus the board of directors and institutional investors have free rein to do what they want. Our hope is that if there are more firms like rF that we may be able influence Mutual Fund companies to vote with us. This would constitute a huge voting share that might actually influence public companies in the future to do the right things for responsible long-term growth and not just short-term profit-mongering. People should have gone to prison for crimes perpetrated which greatly contributed to the financial collapse of 2008. To date there have been no significant convictions and only a handful of fines (not even seriously denting the significant profits made from these fraudulent activities). rebelFinancial.org – An organization we created to help the community that has helped to make us successful. Watch this short video if you are 20-50yrs old to learn more about what you should be doing to plan for retirement. Retirees look for ways to convert savings and investments into regular income. One option to consider is an annuity. 50+yr olds watch this video about planning to use your savings to generate retirement income.